Now that you’ve done all the research, planning, and implementing, it’s time to think about one last thing: how to grow your blog. This is another one of those areas that gets looked over when people talk about monetization. We’ve established that you can never treat your audience or community like an ATM, but neither can you sacrifice growth to warm fuzzy feelings. This chapter will teach you how to manage your growth over time. In terms of your blogging business, what does growth mean? Is it to get traffic to your blog? Or to make money blogging? Or developing a large community? When will you say no? What will cause you to say no? Is there a limit to how much money you want to make? How many people do you want on your team? What will your team members do? How much do you want to work on your business and in your business? When will enough be enough for the life you want? When will you feel that your business is too big and taking too much time and energy? You might look at these questions and think you have no idea what the answers are, but you probably do. You know yourself, and you know what you really want. You know how you want your life to be and what you want from your business. Be honest with yourself about the answers to these questions, even if you think someone else would answer differently. For instance, perhaps you have determined that you could, by selling products, reach seven figures in five years. However, you know that if your business grows to seven figures you’ll have to hire several team members and you’ll need to work basically full-time. You also know that you want to work 25 hours a week and have no more than one or two people working with you. In this case, you decide that seven figures is not somewhere you want to go. You’re happy making in the mid-six figures with a virtual assistant and a part-time programmer on your team to help deliver digital training. These questions may seem daunting, but you already know the answers if you’re willing to recognize them. Scalability refers to your ability to grow something, in this case your blogging business. For example, a digital training course is very scalable, because once it’s created, you can sell it to many people. Once you have the kinks worked out of the training and have a customer support system that can handle more customers, you can increase your number of customers over time. Your time, on the other hand, is not scalable. You can physically only work so many hours a week, and this limits the number of coaching clients or service clients you can take on at any given time. Let’s look at a few more things that are and aren’t scalable. Physical products are scalable. You can continue to sell more and more products, provided you have the customer support capacity and you or your supplier can handle more orders. Affiliate products are scalable, if the product owner is capable of handling more sales in terms of customer support and in terms of supply of physical products. Digital products are scalable, again depending on customer support capabilities. Membership sites are scalable if you have the bandwidth and disk space available to handle the load, as well as the customer service needs of your community. As we said before, coaching is not scalable. You can scale coaching to a degree by offering group coaching, but there is a limit to how much you can expand group coaching. You can’t add an infinite number of people to each group. Consulting and other personal services are not scalable. You can charge more for your time, but you do not have an unlimited amount of time you can work with clients. You’re not going to reach your long term goal right away—it will take time, maybe up to several years. You need to set shorter term, measurable goals, and stop and evaluate once you reach them. For short-term goals, it’s a good idea to look three to six months beyond where you are today. Then set longer-term goals for each year. If you evaluate your progress every three to six months and every year, you should have a good handle on how your business is growing and what you want to do to slow or increase growth. If you don’t have a business growth plan, you might want to read this guide to creating one. There are some things you need to consider when you plan your growth. First, can you go it alone? You almost certainly can at first, but at what point will you need help? Plan in advance for this. You don’t want to scramble to hire someone once you need them and have to bring them up to speed quickly because you have a crisis. You always want to hire someone before you need them and have them trained and ready to take over their duties without a deadline or crisis looming. Do you need more power? We’re not talking about personal authority, but website hosting power. Is your hosting powerful enough to withstand thousands of website visitors a day? Do you need to switch now? Do you know where you’re going to go and how much it will cost when you are ready to switch? What will growth look like? How do you expect your growth to happen? Will you ramp up slowly, selling more products gradually? Will you spend more time, effort and money on marketing and grow fast? What will you need to do to handle your growth? Will you need to work with suppliers to make sure they can handle demand? Will you need to get more customer support help? 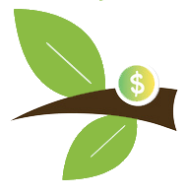 Can you afford to grow? Will you need to borrow money to handle inventory as you grow? Do you have the resources to hire help and beef up your web hosting abilities? Do you have the time to grow your company? Will you need to quit your job if sales reach a certain point, so you can run your business full-time? These are all questions you should consider in determining how and how much you want to grow. There are a huge variety of tools available to help you grow your blogging business and expand your reach—as well as getting more mileage out of what you’re already doing. You can extend or add capabilities to WordPress using plugins. You can find a huge number of useful free plugins, as well as premium plugins, usually at a reasonable price. You will want to add a few plugins to your WordPress installation to make your website run better. You will want to optimize your blog for search engines. This is called search engine optimization, or SEO, and WordPress SEO is an excellent SEO plugin. You can find more great information on essential SEO plugins in this article from SearchEngineWatch. You’ve probably noticed a little square icon next to the URL in your browser’s address bar. That’s called a “favicon,” and All in One Favicon lets you make and upload your own for that extra professional touch. Akismet is built in to your WordPress installation, but you’ll need to activate it. You’ll need an API key, which you can get from WordPress.com here. Akismet is a very good spam blocker for your blog comments. NextGen Gallery provides improved image management within WordPress and allows you to create attractive albums and galleries and add watermarks to your images. Using W3 Total Cache is one of those things. You don’t have to understand how it works or what “total cache” means. When you use this plugin you increase your site’s performance by ten times or more, reduce page load times and reduce download times. We’ve heard that Google’s Matt Cutts recommends this plugin to improve page ranking, so it must be good, right? This plugin is not essential but is very nice. Rather than having links at the bottom of your page that say “older posts” and “newer posts” you can customize the links to something more relevant and creative that fits your blog better. This is a must-have plugin. It generates a special search-engine-readable sitemap, in the XML markup language, that lets Google and other search engines index your blog better. This plugin also automatically updates your sitemap and alerts all the major search engines when you create a new blog post. You can find tons of social sharing buttons for your blog. This one is nice because it offers all the available buttons for you to choose from, and has many customizable display options including ‘floating’ buttons. This is another must-have plugin. It not only monitors your blog for broken links anywhere within the site, including posts, pages and comments. It also notifies you when it finds a broken link. Even better, it then changes the look of the link and even prevents search engines from finding it. All of your images should have ALT and TITLE attributes. This is an easy way to improve your SEO. This plugin automatically updates all images with proper ALT and TITLE attributes to improve your SEO. If your images do not have ALT and TITLE already set, this plugin will add them for you. This is a nice little plugin that replaces the standard WordPress search. The results tend to be more relevant, and the search box offers autocomplete, which makes it easier to use. Pinterest is a great way to get people’s attention and draw them back to your blog. You can do this with a Pinterest Pin It Button plugin for your blog. You can get that button from Pinterest. Make a point of pinning visual quotes, product images and anything else with a visual appeal that might grab your ideal reader’s interest and cause her to click back to your site. You must use Google Analytics. It provides detailed analytics about the number of visits, number of unique visitors, bounce rates, pages per visit and a lot of other statistics. You need this information to know how your blog is doing, not only on a day-to-day basis but in terms of trends, growths and consistency. You can use the Google Analytics Dashboard plugin to connect Google Analytics to your WordPress blog. All this talk about blogging growth and planning is great, but what do you do in case of a smash hit? Too much success can be as bad as too little! 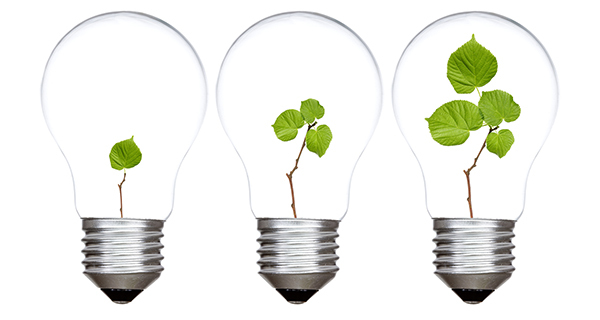 Often business fail to plan for scalable growth, and when success happens it’s overwhelming. Set checkpoints for yourself where you take stock of what is going on in your business and your life, and tally all of your resources. Have in place the plan for what you will do to manage your growth responsibly. Let’s say you have a business offering digital training in raising geckos. Your Basic Geckos series provides new gecko owners with all the information they need to properly care for their gecko and keep it healthy and happy for its full lifespan. You started out offering this video series with baby geckos from your gecko store. After a few months of selling 20 to 30 copies of Basic Geckos along with baby geckos, you put the series in your store as a stand-alone item. Your sales rise to 50+ sales a month. You also start getting questions from people who’ve bought the videos but did not buy their gecko from you. You put together a FAQ page for buyers of the videos, and include the link and a copy of the FAQs in the zip file with the videos. You decide to offer your Gecko Basics videos as an affiliate program to other people who sell geckos online. Your sales rise from 50+ per month to 150+ per month. You continue to get questions, many of which you’ve answered in the FAQ. You create a set of email swipe files, each containing an answer to one question you often receive. When someone emails with a question, instead of directing them to the swipe files, you paste in the answer and send it out. You start advertising on herp sites and using Google AdWords to advertise your gecko videos, and you begin writing a column for a well-known herp newsletter. Your byline in the newsletter mentions your gecko videos. Your sales rise to 500+ video sets per month. You hire a virtual assistant to provide customer support. With the time you’re not spending on support, you create Advanced Gecko Care and Gecko Breeding for Herp Lovers. You add these video sets to your store, offer them through your affiliates and advertise them on herp sites and with Google AdWords. You create FAQs and email swipes. Your sales rise, for all three video sets, to over 2,000 sales per month. You work with your customer support assistant to streamline customer support and provide more information in less time. Once you have a new support system in place, you hire another customer support representative, increase your advertising, bring on more affiliates, and watch your sales rise to over 5,000 video sets a month. During this time you have phased out of selling live geckos, which was fun but created very little income. You continue to breed geckos for fun and occasionally offer your geckos for sale to people who’ve bought your video series. You still offer gecko accessories and food through your store, as an affiliate, but you spend most of your time developing new videos for herp lovers. This is one version of how your success could go. But imagine if you hadn’t hired a customer support person, or hadn’t planned for your growth. How would you handle questions from 5,000 new video students? Success is wonderful, but it can also be overwhelming. Go Forth and Grow Your Blog! As you can see, there’s a lot that goes into blogging success. It’s more than great writing and regularly posting. Instead, to make money blogging, you need to build a blogging business. Of course, you won’t turn your blog into a thriving, profitable business overnight, but you can fast-track your success by implementing the ideas we’ve laid out in this guide. Decide how you’ll monetize your blog. Identify your audience and what you’ll do for them. Test your ideas with a minimum viable product. Do the work! No plan can succeed without dedicated, focused work. Get started today, and let us know if you have any questions. 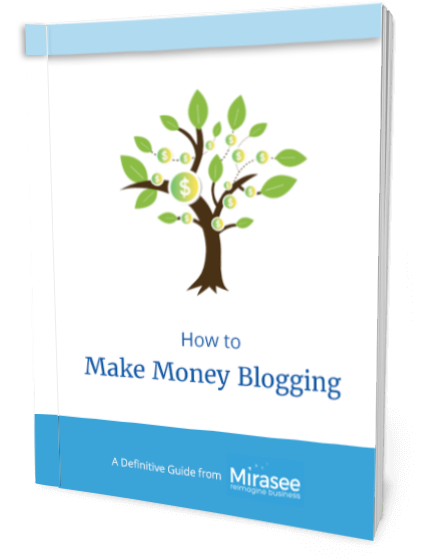 Download your FREE How to Make Money Blogging ebook now, so you can refer to it often. Have you enjoyed the Make Money Blogging report? Please share with your friends and followers. Growth means different things to different people. How much growth do you want, and when do you want it? You should be clear about your ability to scale, or grow, your business and the implications of scaling. These implications might include needing to hire help for customer support, for example. Be careful that you don’t grow too fast. Always hire a team member before you need them, not after. When you envision the future, don’t just plan for what if things don’t go well. Make sure you’re prepared for unexpected, phenomenal success. Based on the work you’ve done up until now, what is the single first step you need to take to get going? Use the information in this section to set your long-term goals, and then work backwards. Use the desired outcome of your first idea as a starting point, and work out how you envision your business growing, and when. Map out the path you will follow from your first success to your longer term goals. Include checkpoints to verify how you’re doing, especially in the next three to six months.